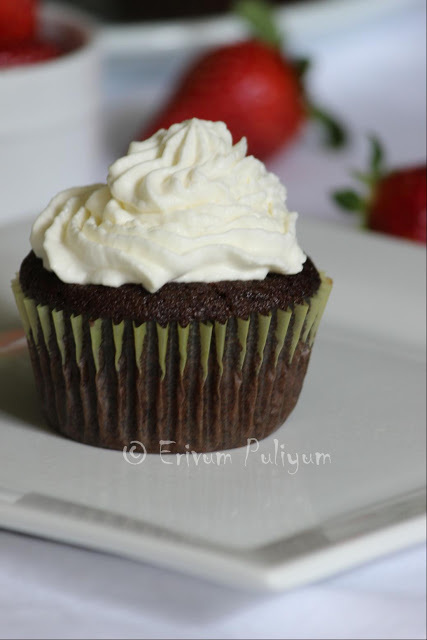 There are many recipes that we get to devour during the course of life and some are cherished lifelong. Few of them make a variation to our tastes too. 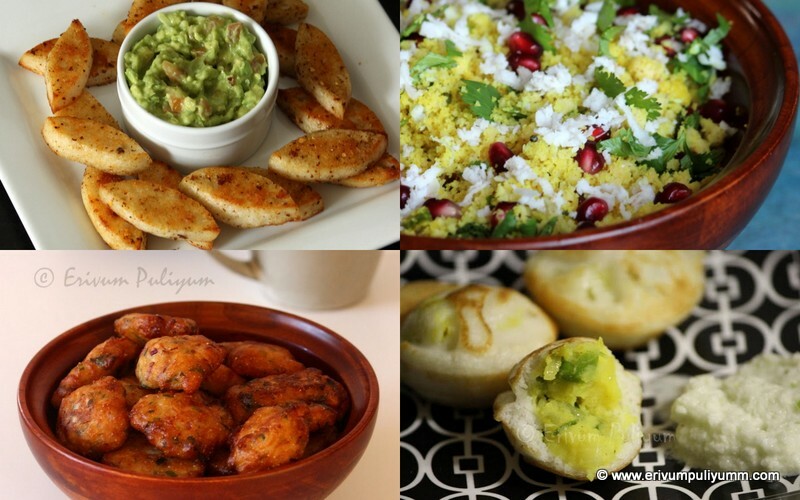 Same goes here in today's recipe until I tasted this one last year for Onam. I had no plans to make vendakka as thoran as I always thought it turns slimy and mushy when once cooked so never thought this could make such a delicious thoran(stir fry). Last year I happened to taste this thoran for Onam. We generally eat sadya out on uthradam day and prepare sadya at home for Thiruvonam. The reason for eating out is very simple as ladies get bored of the elaborate cooking process of sadya both days when the whole family is united with grand parents, cousins and relatives. This is the scene when all are together for Onam like last year. And this vendakka thoran was served along with so many other sadya dishes for Uthradam sadya which I loved in particular. The vendakka was crisp and not mushy at all and had the addition of peanuts in it along with grated coconut. Then I tried recreating the same stir fry and didn't get the same tastes in the initial tries. Gradually mastered this stir fry and now all love it at home too. H doesn't like the addition of peanuts in it but me and kids love that extra crunch that makes this thoran stand out. As Onam is approaching I thought to share this yummy stir fry which you can try for sadya. Wash the okra under running water and drain water completely. 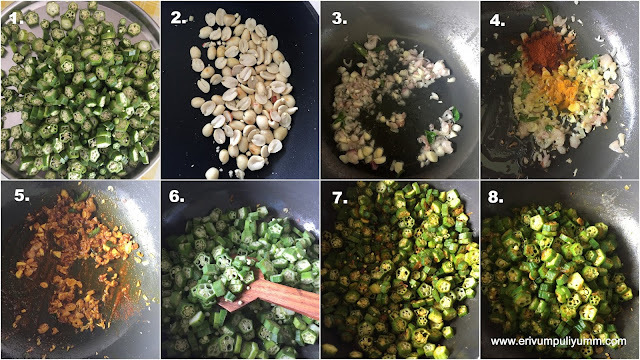 Using a kitchen towel or paper towels,wipe each okra to dry completely ( imp: this is an important step when making thoran/stir fry else the vendakka tends to leave stickiness). Snip off the top and tail ends and cut the okra in less than 1/4" thickness in roundels. Keep aside. Dry roast the ground nuts in a pan and leave to cool. Once cooled, remove the skin by crushing in hands and split open in halves. Heat oil in a thick bottomed pan and add the chopped shallots,garlic and curry leaves. When its slightly browned,add in turmeric powder,chilly powder on low flame. Add in the cut okra and saute to mix well. Add salt. 4.Cover and cook for 3 minutes. At this point the okra may look sticky but don't worry. 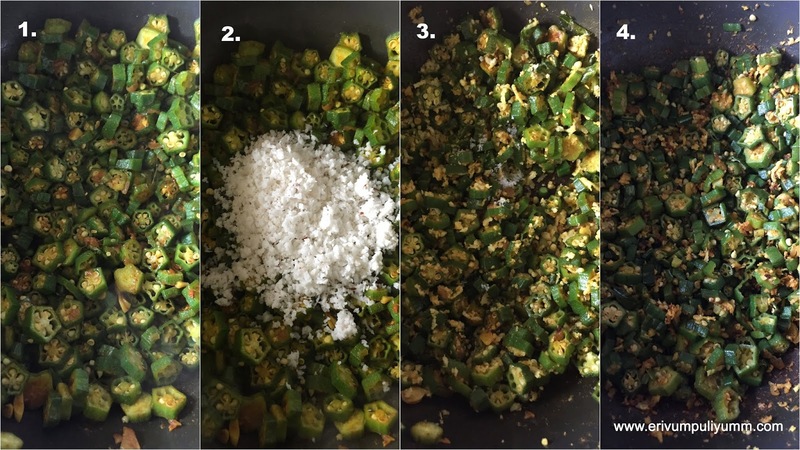 Mix and stir the okra in between, when its 3/4 th cooked add the grated coconut. Give a quick stir,adjust salt. Cook covered for another minute.Then, keep stirring continuously on high flame and dry roast the okra well (takes about 2-3 minutes). Remember to scrape the bottom of the pan too(the best tasting part. Switch off flame once it looks dry and there isn't any sticky consistency. 6. Heat oil in another pan, splutter mustard seeds when hot. Add in red dry chillies, curry leaves and the roasted ground nuts. Fry the ground nuts until slightly browned. Switch off flame and pour this over the okra stir fry. Enjoy this warm with rice. * You can leave out the ground nuts if you wish to. But let me tell you that ground nuts are the catch in this recipe. 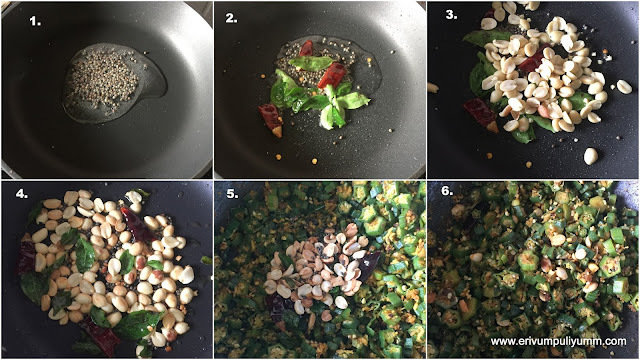 * Temper this stir fry just before serving else the ground nuts lose their crunch. 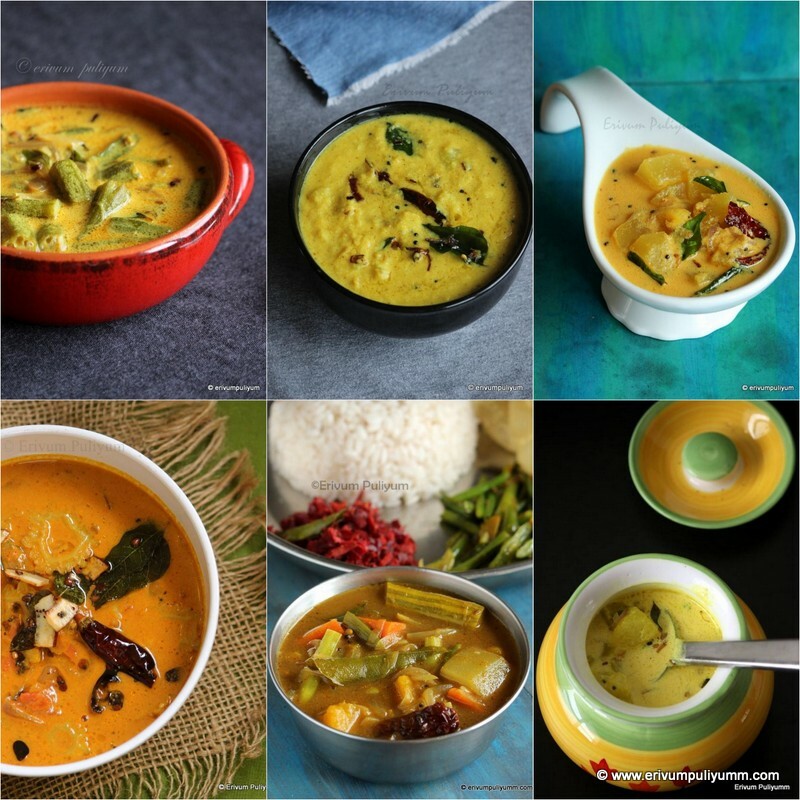 Please check out this link to all nadan thoran and mezhukuparetti recipes. Peanut in Thoran would taste good love this combo! How delicious and good for you too! That looks perfectly cooked and so inviting too!